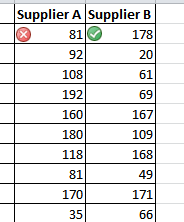 You'll notice that it has ticked 178 as green and 81 as red. I want the opposite, I want it to mark the lower price as green. Ordinarily, I would copy and paste format to do for the remaining 895 rows. But for this doesn't work out of the box for all conditional formats. 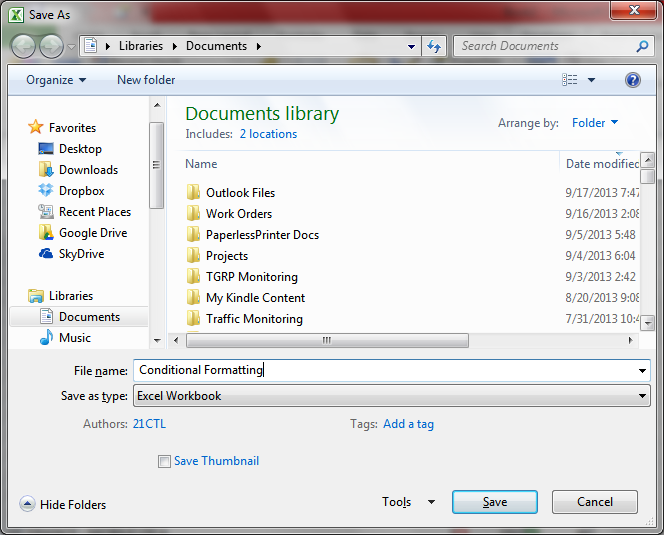 Here is the output of copy paste format for this case. You'll notice that it's not doing what I want. 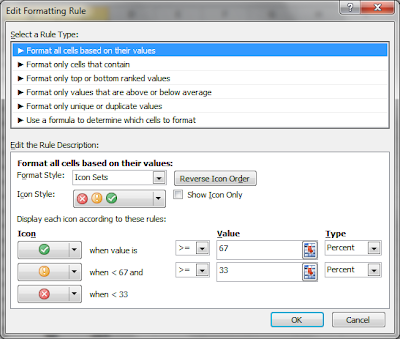 A possible way of fixing this is to change the cell references in the rule from Absolute to Relative (remove all dollar signs). I did that and remade the copy paste format. Result: Not what I wanted. This is where recording a Macro is the easiest way out. 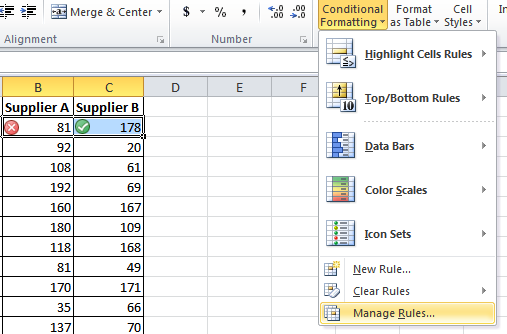 The other option is to do the conditional formatting one by one for each of the 896 rows. So how to do the Macro recording? Just click on the record Macro button. 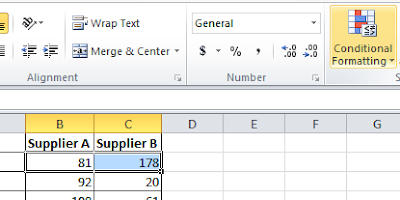 It is on the lower left of your Excel Window. 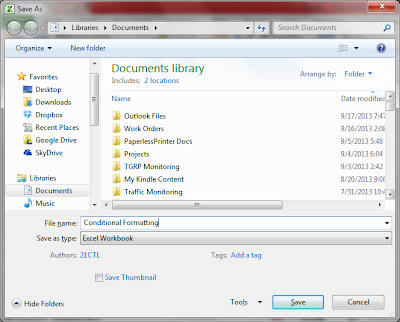 You'll need to have the Developer tab enabled in your Excel to see that button. Google can help you. I don't want to make this post unnecessarily long. A dialogbox comes up once you click the button. 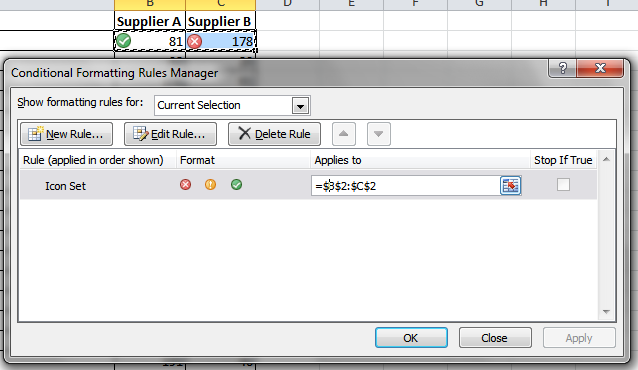 Now do the conditional formatting for the second product. 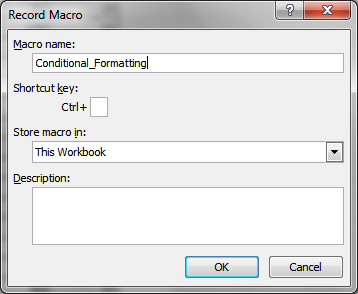 Once you are done, click on the same Macro button to end the Macro recording. Click Edit. 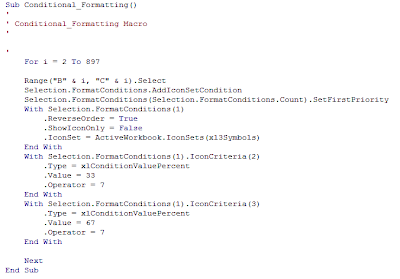 This will take you to the Visual Basic Editor and display the code of the recorded Macro. 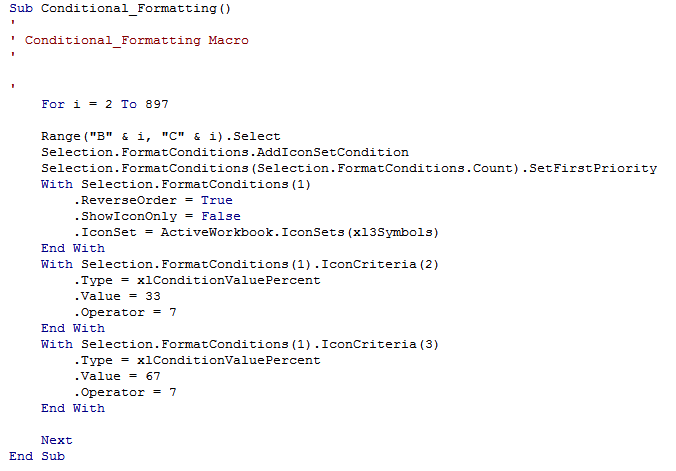 What we'll do here is to add two lines of code, telling the Macro to do for rows 2 to 897. It does just what I want! And I can save it as normal Excel file (macro free) without losing my conditional formatting. 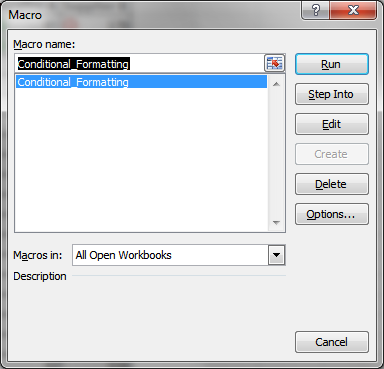 Yes, save as macro-free workbook! 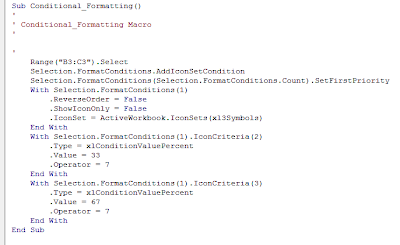 You've created a VBA Macro to solve a problem. 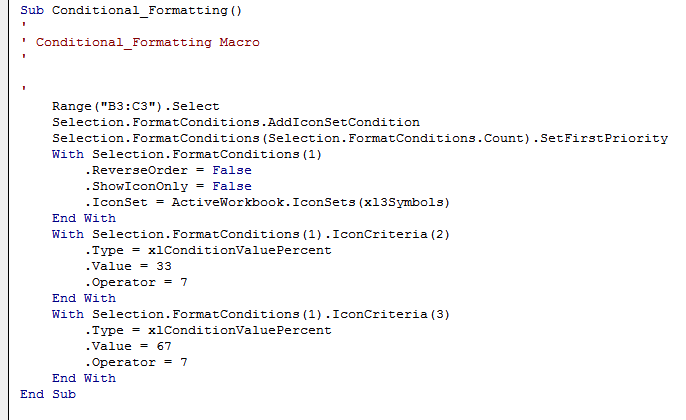 And now you can see that Excel Macros aren't hard at all. With a little ingenuity you can do amazing things without writing a code (from scratch). I've never thought of this idea!